Not all patients find one certain benefit or certain benefits when getting a rhinoplasty or nose job. Each patient will have a different benefit from another patient, since not all patients get the same type of rhinoplasty and not all patients have the same desired results from their rhinoplasty surgery. 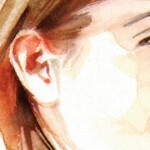 However, even though not all patients undergo the same type of rhinoplasty and not all patients have the same desired results, the overall benefit of people who will undergo rhinoplasty or nose job is that it can help in correcting the nose’s size, shape, and functionality, which can be their problem. Rhinoplasty is not some kind of a miracle surgical procedure that can make anyone’s nose perfect. 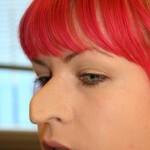 However, records of rhinoplasty cases have shown to have a big improvement to the nose and have successful end results. Expecting big after a rhinoplasty surgery will be fine, especially when the surgeon who is going to perform the procedure is known and is well-experienced. However, patients should have to keep in mind that they should make their expectations realistic, for them not to get disappointed when their expectations are not fully met. One of the most common reasons why a person fully decides to undergo a nose job or rhinoplasty is for a boost of self-confidence or self-esteem. Many people are not contented and are not confident with their noses’ appearance, which is why, they will undergo rhinoplasty just to improve the size, shape, and the entire appearance of their noses. Depending on the appearance the patient wants to achieve, that how the doctor will decide on what specific type of rhinoplasty will be done to the patient. Changes from the tip of the nose, bridge, and/or nostrils can be done during a rhinoplasty procedure. Rhinoplasty is not only done to improve a person’s nose’s appearance for a boost in self-esteem and self-confidence. 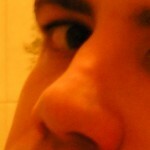 Rhinoplasty is also done to improve a person’s inhaling and exhaling of air through the nose. People with severe cases of deviated septum will usually need to undergo septoplasty (deviated septum surgery) together with rhinoplasty. Rhinoplasty can help in alleviating breathing difficulties caused by structural abnormalities in the internal structures of the nose, due to an injury, such as a hard blow to the nose, or even inborn structural abnormalities. People will structural abnormalities of the nose can have problems in supplying the body with the right oxygen levels, which can be detrimental to a person’s overall health.